Personal injury lawyers are human, just like you and me. They make mistakes and sometimes, these mistakes cost them – and their clients – lots of money, sometimes even entire settlements. As an injured victim, you need to first play the role of the savvy shopper and find a lawyer who you feel confident having handle your case. Understand the costly mistakes personal injury lawyers can make so you can anticipate them before they happen and take the appropriate action. Lawyers are not doctors, but the nature of a person’s injuries will have a significant impact on the value of a person’s case. As a result, you need a lawyer that has a general understanding of your injury and how such injury will affect your activities of daily living. If you have a back surgery, will you be able to go back to work and, if not, what needs to be done to make sure that your damage model reflects the extent of your loss. If you have a spinal injury or brain injury, it is very important that your lawyer know what steps need to be taken in order to properly work up your case. A lot of lawyers say they handle big injury cases, but be sure to do your homework before you sign. The reality is that investigating and pursuing a personal injury claim is expensive, especially in significant injury cases. These types of cases oftentimes require your lawyer to spend tens of thousands of dollars hiring the right experts to make sure your case is properly prepared. If your lawyer can not afford to hire these experts or refuses to invest the necessary money into your case, then you and your case will be at a significant disadvantage. Experts are expensive, but a necessary part of a big injury case. The law requires qualified individuals to speak on issues related to medical matters and other matters that are not within the common understanding of the general public. So you need to make sure that the lawyer has the resources necessary to fight with a big insurance company. Even if you work with an experienced lawyer, issues could arise in your case that he or she has never dealt with before. When this is the case, your lawyer should consult with other lawyers at his or her firm or another firm to find the most effective solution for the issue. Having a lawyer that is willing to consult with others is what you want and need when complicated issues arise. Without getting input from another lawyer who has experience facing a specific type of case, your lawyer can potentially overlook, underestimate, or overestimate critical issues or considerations. A lot of lawyers call themselves trial lawyers, but that is often not the case. There are a lot of personal injury lawyer that just want to take a case to try to settle it regardless of whether the final offer is fair. You do not want this type of lawyer. While there is nothing wrong with settling a case, you want a lawyer that is ready, willing and able to try your case if the other side refuses to be fair. Every case requires substantial attention from the lawyer handling it. A lawyer who takes on too many cases at once is stretched too thin to give any of them the attention they need. When this happens, every case suffers. If you have a hard time getting a hold of your lawyer, you may consider hiring someone else. A lawyer’s job is to interpret the law for his or her clients and ensure their rights are upheld. If a lawyer does not understand the law and how it affects a person’s case, then you need to hire a different lawyer. When you file a personal injury claim, you may receive a settlement offer from the insurance provider. This is usually a “lowball” offer that doesn’t fully compensate you for what has occurred. If your lawyer pushes for you to accept this offer or otherwise rush to accept a settlement without conducting a full investigation or before your injuries are fully understood, you could be leaving significant money on the table. When you file a personal injury claim with an insurance provider, your lawyer’s job is to demonstrate to the insurance provider that you were injured because of the insured party’s negligence and that your resulting damages relate to the injury. This means your lawyer has to “speak the language” that connects with the insurance provider, which can vary between types of provider, like auto insurance providers and medical malpractice providers. If the insurance company refuses to be fair, then the audience changes to the jury. At the end of the day, this audience is the one that truly matters because they are who decide what your case is worth. 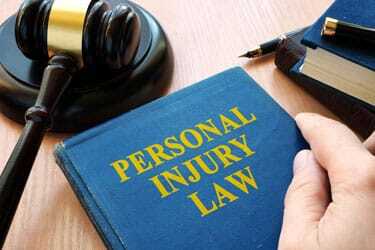 Your lawyer is your guide through the personal injury process. He or she is tasked with helping you develop realistic expectations for the case, especially when you are litigating it. Trust your lawyer’s estimate for your settlement and recommendations based on the case’s circumstances and the evidence you have – although you might see advertisements for sever or six-figure settlements, these advertisements are often cherry-picked information and if your case is not worth that much, you cannot expect to recover a settlement that size. If you have been injured in an accident, you have the right to pursue monetary compensation with an experienced Texas personal injury lawyer. To learn more, contact our team at Sutliff & Stout today to schedule your free case review with us.